Lou Lou Girls > craft > Somebody Loves You! My Girls have been back in school for about 2 weeks! I can’t believe it! Things are going so well and they are starting to settle into their new routines. In one of my many trips to Walmart, I spotted these delicious, little yummy snacks in the refrigerated area. My mind started to wander and thought this was a good time to give my girls a “love” boost! How could you go wrong with Hersey’s S’mores Pudding cups! Even the checker at Walmart commented on how good they looked and she couldn’t wait to try them! I love to put something special into my kids backpacks without them knowing or in their rooms to surprise them when they get home from school. Every kid needs a little something that will put a smile on their face and let them know that even when their not home, somebody is thinking about them! I found a box in my cupboard and decided to make a “somebody loves you kit”! You could use any box or even a quart mason jar. 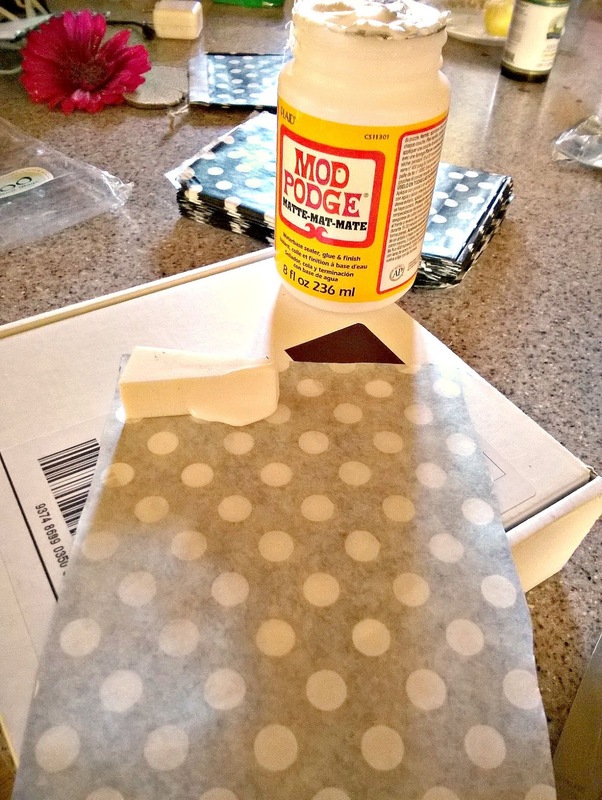 I found some paper bags in my craft room and cut them to the size I wanted and put a even coat of mod podge on the back of the paper.Simply lay the paper on your box and smooth out the bubbles. Once you have covered your desired space, put a even coat on top of the paper and let it dry. Embellish with flowers, jewels, or if you have boys add all the boy touches. I found some free images on the internet and printed off quotes to help boost my cuties self esteem. Go crazy! 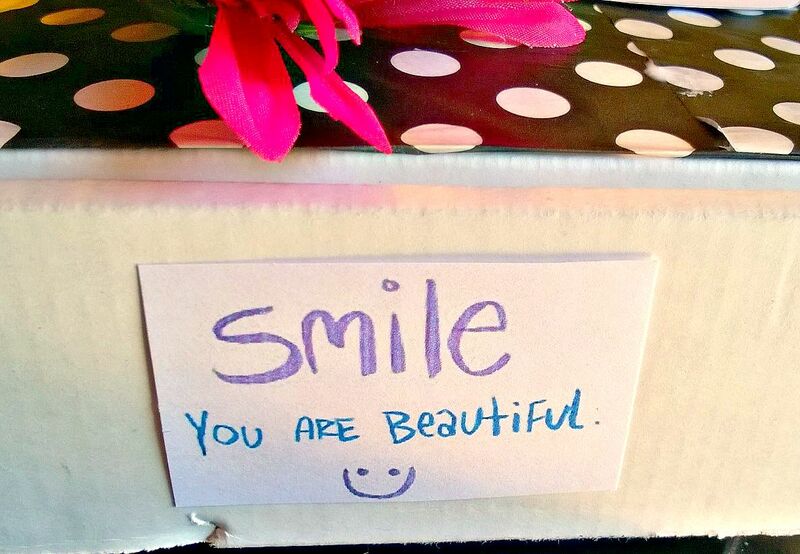 Cover the whole box with positive goodness, you can’t have too much! Inside, I filled it with an instant party! My girls love to share with their friends and so I put enough for two. 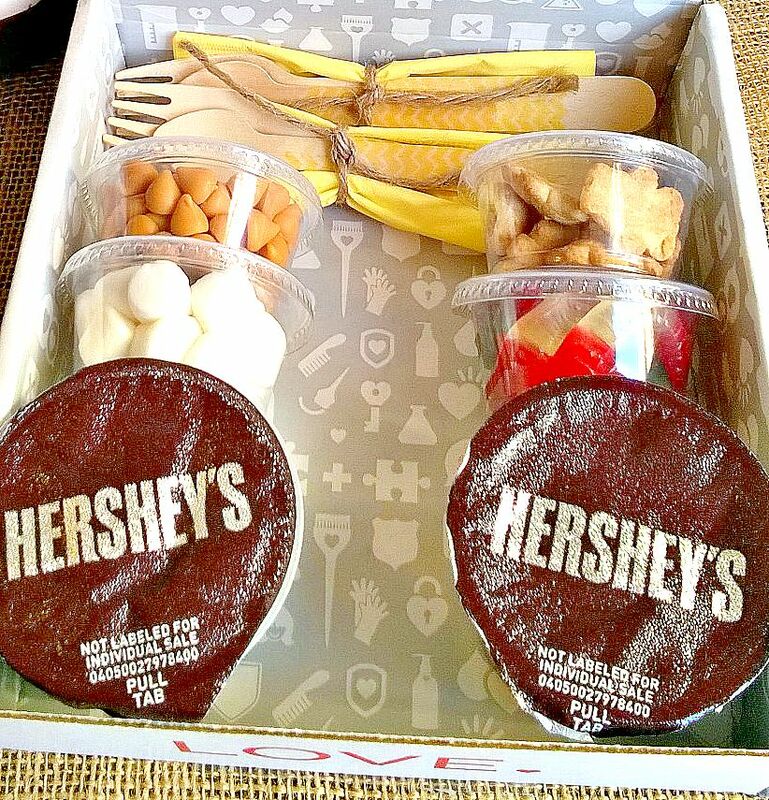 I filled little plastic containers with fun toppings like, gummy worms, marshmallows, butterscotch chips,and graham crackers and it takes their pudding to the next level! Finish it with spoons and napkins and a little love and it’s ready to go! This would be great for anyone that you know that might need a little love! 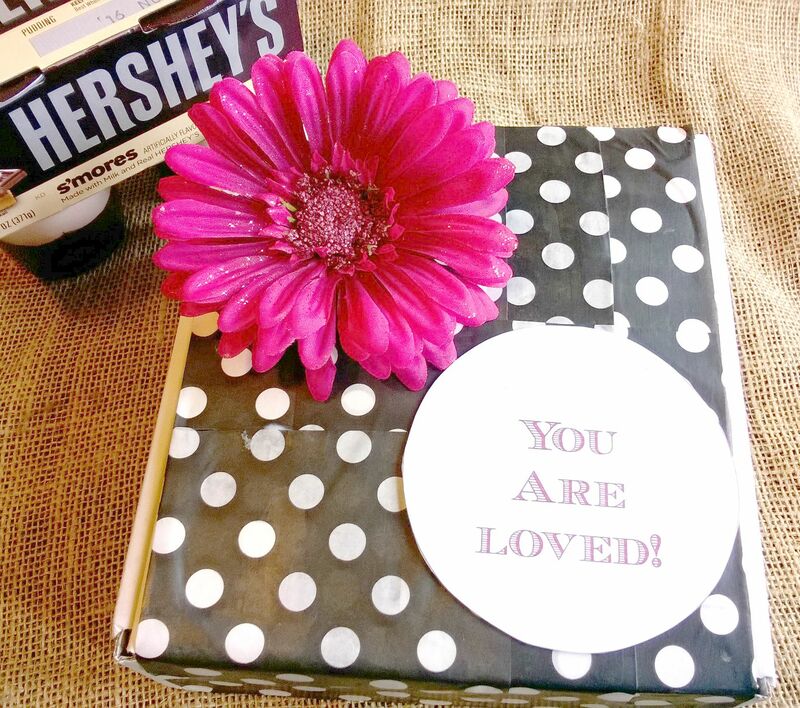 Hershey’s Pudding is so rich, and creamy and made with real Hershey’s cocoa! As a mom, I want to give my kids snacks that are high quality. 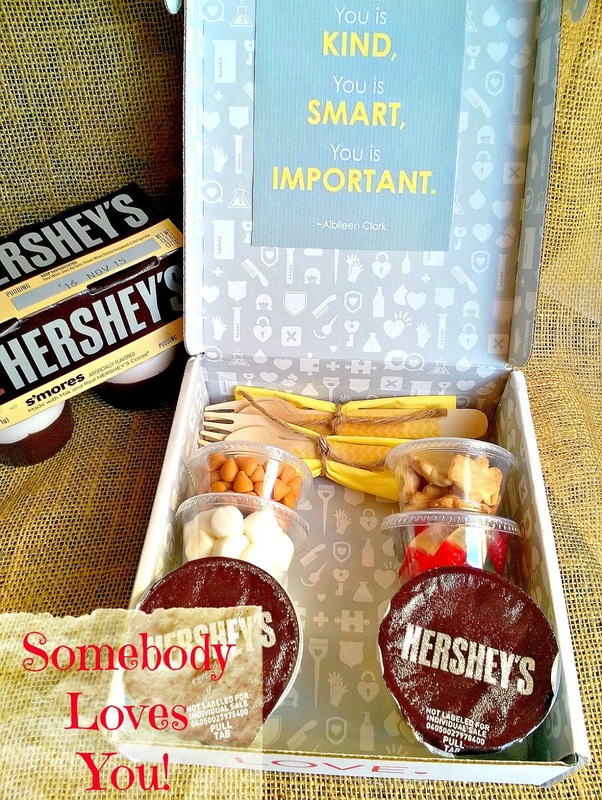 The September/October issue of ALL YOU Magazine has a $.055 off coupon for Hershey’s Ready to Eat Pudding! If you’re like me, I’m always looking for a deal! What a delicious and cute idea! My son would devour the s'mores too. Cute Idea. Thanks for linking up at the Monday Funday Party!